CAPE TOWN based chef and restaurateur Giorgio Nava has once again been given international recognition for his contribution to furthering the reputation of Italian cuisine. Famously passionate about upholding Italian authenticity and quality at his stellar eatery 95 Keerom in Cape Town, Nava is a proud ambassador for Italian cuisine and was lauded as one of the ‘silent heroes of the success of Italian cuisine and wine in the world’ at the Grana Padano awards, recently held in New York City. Praised for their contribution to upholding the standards of and continuing to share the joy of Italian cuisine Giorgio was one of only four international chefs singled out in the prestigious awards which attracted some 2000 entrants. With a jury comprising some of the most experienced and respected members of the food and wine industry, the award is further recognition for a chef who works tirelessly to offer an authentic and quality Italian experience to his guests. Giorgio is a well-known figure in culinary circles and has a reputation for personally greeting his guests every night and sharing the specials of the day with them. He is famously passionate about provenance of the produce and ingredients he works with – from the sun ripened tomatoes that are specially grown for his eateries to the tuna that makes its way directly to the restaurant from his trusted suppliers. 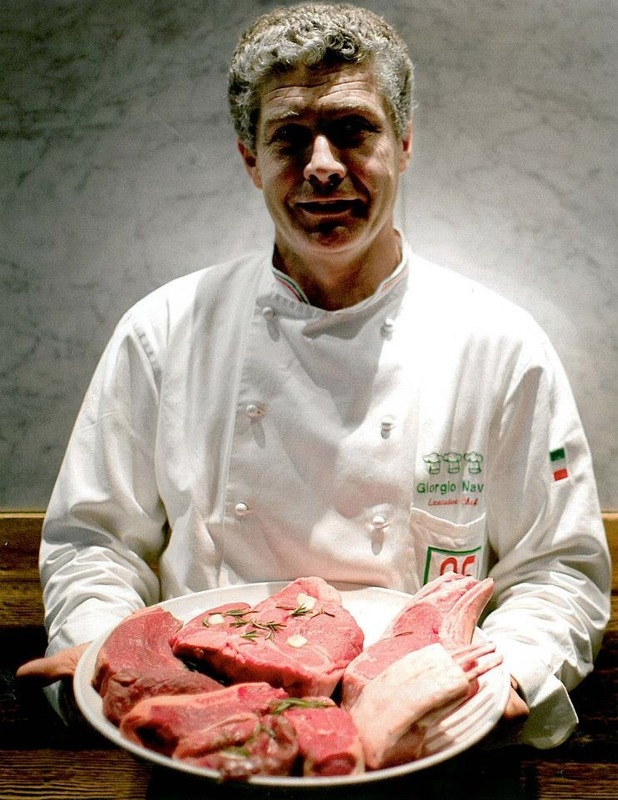 At Carné, his award-winning meat-oriented eatery, only the best A-grade beef will do and full reservations books at both eateries attest to the outstanding dining experiences that can be enjoyed there. His other Italian restaurants in Cape Town are the chic Caffé Milano and Mozzarella Bar SA, both located on trendy Kloof street. Of his recent award and his restaurant 95 Keerom, Giorgio says “I love what I do and I will never become tired of wanting to serve the very best and the most authentic Italian food possible. I am pleased that I can live in a beautiful city like Cape Town and still feed my clients and friends a delicious taste of Italy”. 95 Keerom is located at 95 Keerom Street, Gardens, Cape Town. Open for lunch on Thursday and Friday and for dinner from Monday to Saturday. For reservations call 021 422 0765 or e-mail info@95keerom.com.